Happy New Year everyone! 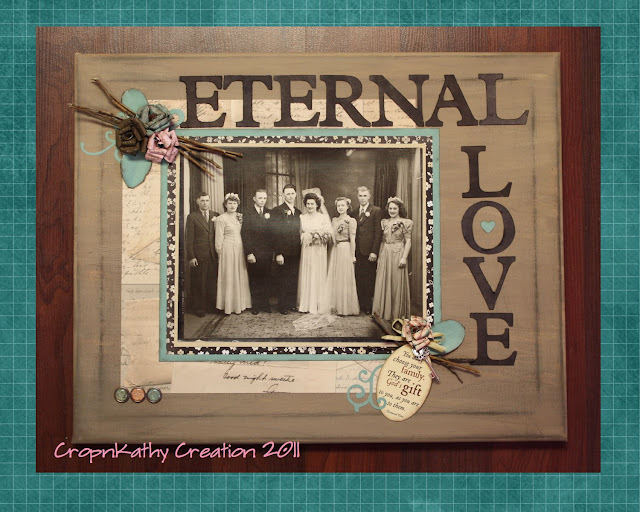 Today I am sharing a canvas project that I created for my grandmother. This is the third canvas I have created using a similar template and I think they just turn out so well. 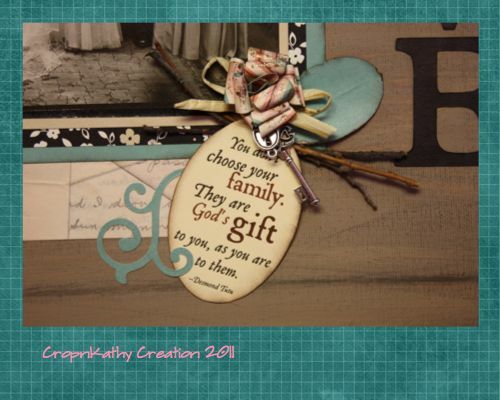 The papers are from CTMH, ink is Tim Holtz Walnut Stain, twigs are from our forest :), tag is 7 Gypsies (an ATC card that I cut out), leaves - torn paper - own design, key and rafia are unknown and metal accents are TPC design from Grandma's Attic collection. I cut out the letters using my Cricut and the swirls were done with a sizzix die. 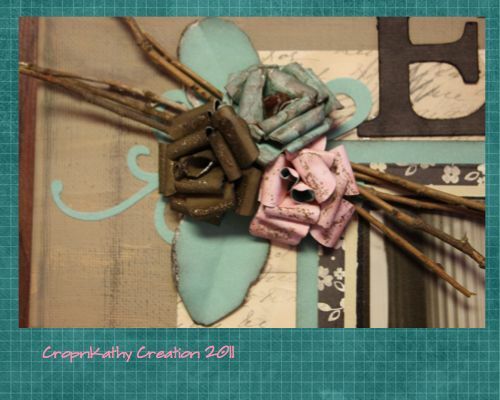 Adhesive used: ATG to adhere papers & photo, Tombow mono multi for letters and to put together the flowers and 3D zots glue dots for all the embellies. Thanks for stopping by and have a blessed New Year! Thank you SO much for joining us at Top Tip Tuesday and Make It Monday! Simply gorgeous and such a treasured memory. Thanks for sharing. Mom i love what you made for big babas Birthday! I think it is full of detail and will remind Big Baba about her husband! Great job.